Echo Generators specializes in power generators for a variety of applications, and services related to the power generation market. 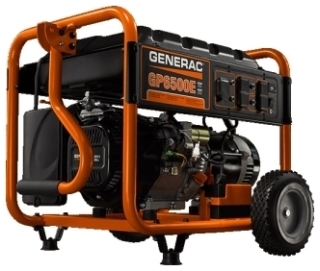 We serve our customers a wide variety of needs, including: portable generators for job site or tailgating, residential standby units, and commercial applications. Our trained inside and outside staff are dedicated specifically to our Power Generator Division, working with our Echo Electric Supply locations in the Nebraska, Iowa, South Dakota and Minnesota markets. We service our area with knowledge and experience. Our team is committed to providing the highest level of customer service, and technical support throughout the process, and can provide after the sales services such as warranty work, maintenance plans, load bank testing, and other service related needs to provide added piece of mind for the customer. Our division also offers mobile diesel options for short, or long term use. Perfect for planned, unexpected, or temporary power outages. Standby power products offer a reliable backup to electric power. The Siemens offering is designed to meet the requirements of Article 702 (Optional Standby Systems) of the National Electric Code (NEC Article 702 Optional Standby Systems). Our Magnum line of powerful, high-quality light towers, trailer-mounted mobile generators and combination units are designed and built for a variety of industries and the most demanding enviroments. 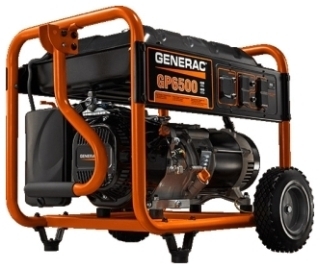 Generac also pioneered the residential power washer category, putting the power to clean into the hands of homeowners. Today, Generac features a full line of innovative, industry-leading power washers suitable for virtually any application, including the toughest commercial and industrial enviroments. Since 1927, Winco's commitment to quality, dependability, and innovation has produced the broadcast line of generators among any manufacturer in the industry. Winco will continue to supply generators to our customers for decades to come. Generators are what we do and we do them well. Honda's commitment to creating products that improve the quality of people's lives goes well beyond automobiles and motorcycles. Since 1953, Honda has manufactured over 100 million power products worldwide. Honda continues to be a leader in the development of low-emission, fuel efficient, enviromentally friendly 4-stroke engines for use in generators, water pumps, lawn mowers, outboardmotors, and many other power equipment applications. Honda Power Equipment, with headquaters in Alpharetta, Georgia, consists of three distinct operating units: Honda Power Equipment, Honda Marine, and Honda Engines. The division's products, including engines, generators, lawn mowers, pumps, snowblowers, tillers, trimmers, and marine engines, are assembled in Honda plants in the United States and around the world.